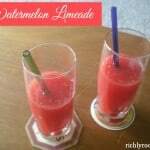 Here is a recipe for watermelon limeade, a refreshing summer beverage that you can make in the blender in just five minutes! 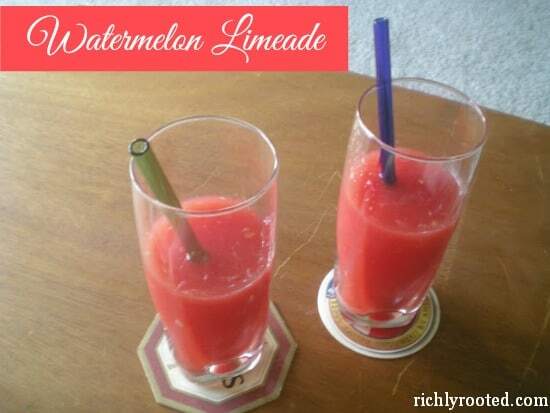 Serve watermelon limeade at your Fourth of July get-together, or any summer potluck! Sip your way into September with this refreshing, summer sweet burst of juicy watermelon and fresh-squeezed limes. Cut the watermelon into large chunks, removing the rind. 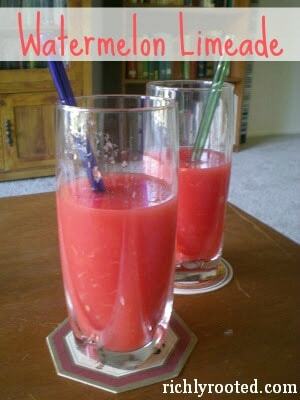 Puree the melon and lime juice in batches in a blender or food processor. Pour blended liquid through a strainer into a 1/2 gallon pitcher. Stir well. Chill thoroughly and serve over ice with a splash of rum. What is your favourite summer beverage? « Previous Post Eating for Pleasure: The Beauty of Balance in "French Women Don’t Get Fat"